Whole venison loins (aka venison backstrap meat) include both ribeye and strip loin portions of meat, allowing diners to enjoy both the more flavorful ribeye and the leaner, tender strip loin. They make an excellent venison roast, but can also be cut into steaks or medallions. 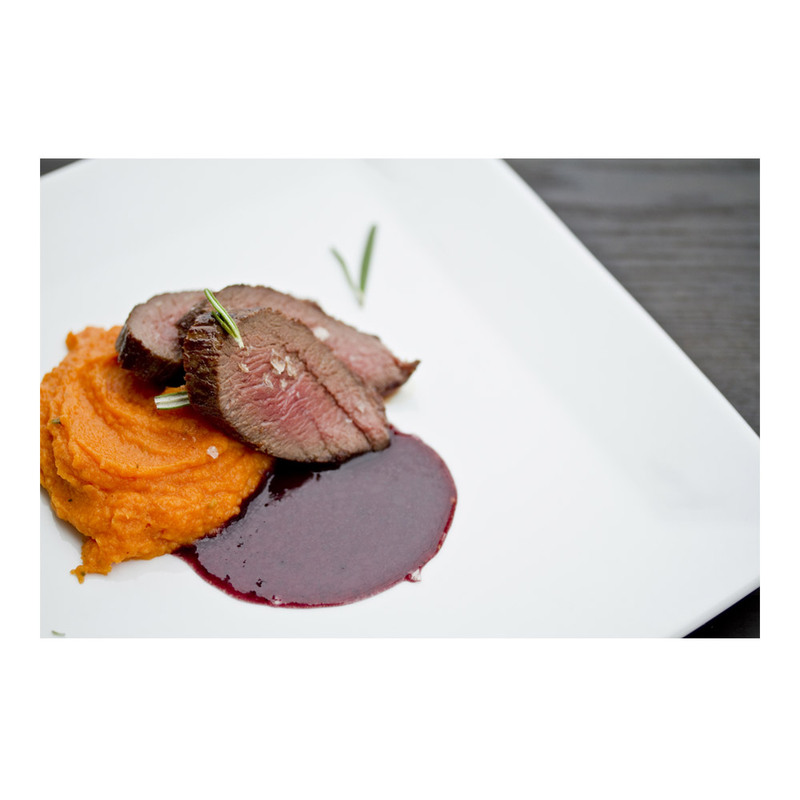 Venison (deer meat) has extremely low levels of fat - significantly less than skinless chicken. It is also lower in cholesterol than beef or lamb, while being high in iron and zinc. What fat it has is good fat, with high levels of healthy omega 3 fatty acids. Store fresh venison loins in your refrigerator. Frozen venison loins should be stored in your freezer until you’re ready to use them, then thawed as needed. Before cooking venison loins, we recommend using a sharp knife to remove the silverskin from the surface. Whole venison loins can be grilled, roasted, or broiled. When cooking them whole, use a meat thermometer and cook them until a few degrees short of your desired internal temperature. Then remove them from the heat, cover with foil, and let them rest 8-10 minutes before slicing (the meat should carry-over cook to your target temperature while resting). 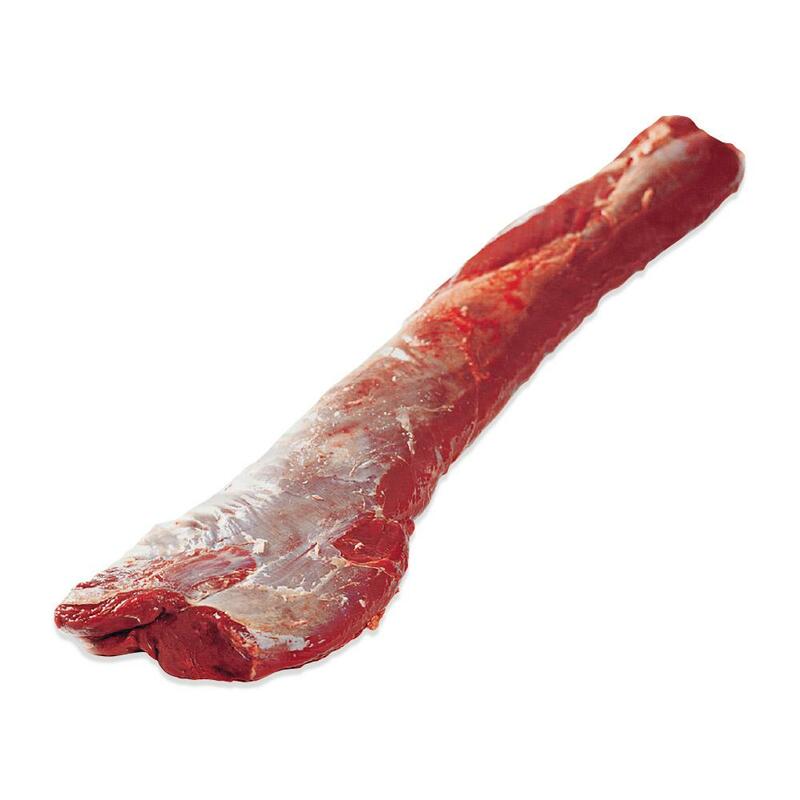 Whole venison loins can also be sliced into steaks, noisettes (small steaks) or medallions for pan roasting, sauteing, broiling, or grilling. To help protect its quality, the meat should be rested (covered) for a few minutes after cooking (the larger the cut, the longer the rest). The meat will continue to cook from residual heat while resting, so it’s best to stop cooking it a few degrees away from your target temperature. Most chefs feel venison loin cuts are best cooked no further than Medium Rare. However, the USDA recommends cooking all farmed game meats to an internal temperature of 160 degrees.